No but everything is configurable. Honest question, what would be the point? I've been using the events in applecore to modify growth speed based on biome and surrounding blocks, that sort of thing, little more complex than you can get with just config options. I am trying to blacklist the corn plant from the Reap Mod right click harvest function, but the corn plant does not seem to show up in JEI, and when I look at it with Waila, it shows as <unnamed> instead of a name. 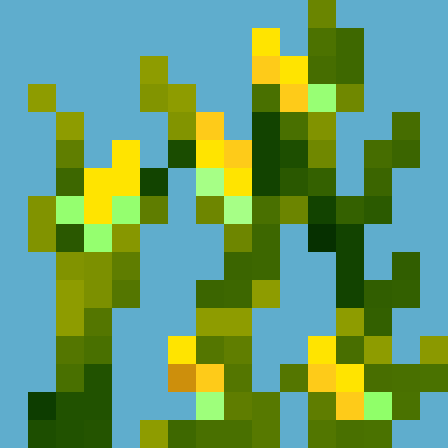 What is the block ID for the corn plant itself? You should have the 16x textures enabled by default and you can use the 32x textures for your personal use. It just makes more sense that way. Looking at the comment below me, I realize the unnecessariness (I looked it up, that's a real word) of my comment. Why are the textures 32x by default? That makes no sense when vanilla is 16x, it really should be the other way around. It's because I made the textures as 32x because I made this mod for my personal use first and thought i'd share afterwards, and think it looks better for the post images. I did include 16x textures as a download as someone else asked, but it's literally just a batch resize.... Judging by the amount of people downloading those as a percentage of my total downloads, i'll likely flip it around as you suggested as I release the next update and other mods going forward. That would be great, yes. 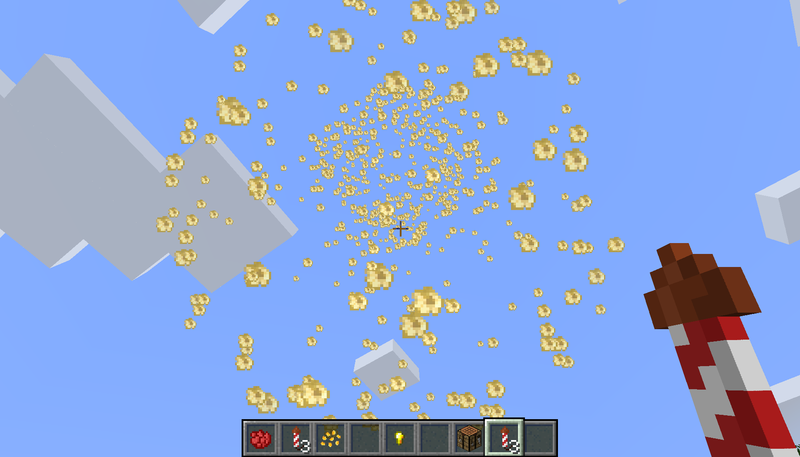 While it's trivial to enable the resource pack, it doesn't fare too well for modpacks. nice job so far, just please don't ruin the mod by accepting any nonsense people will suggest. i know it feels nice to see messages here, but you need to stick with the plan. now, how about adding a blowgun that will fire seeds for 3 points of damage? no? good. Haha! I like your style. The only further intentions I have for this mod are listed under planned features and I'm gong to add a config so people can tweak my food values. I have no interest in making those mods where you add as much as possible just because you think of it. It is called /simple/ corn after all! Features with a purpose is what I look for in a mod and it's what i'll do my best to provide! Ouch guy. To each their own though. I'm not redistributing the mod with lower resolution textures because I make mods because I want to play with something specific in my game, and I like 32x. However, I went ahead and shrunk all the textures for you, cleaned them up a bit, and added them as a resource pack for you and others that prefer native resolution or can't handle 32x to add to your games. I hope you enjoy the mod otherwise! 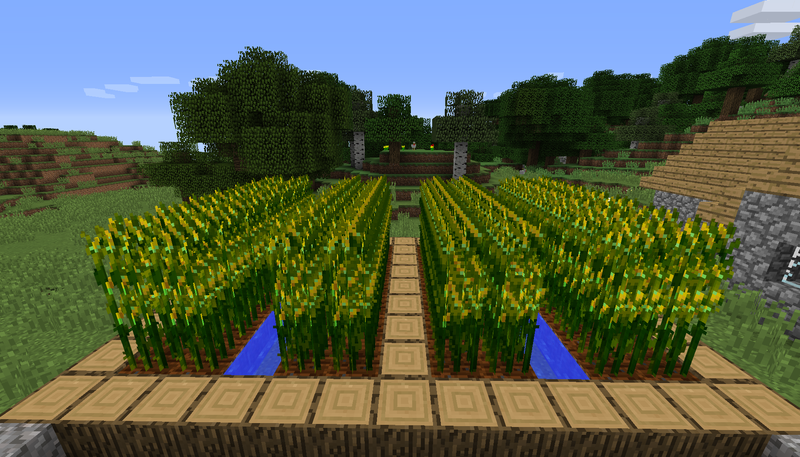 1: does corn show up in vanilla village farms like the pic shows? 1: Working on that and another feature from the list for the next version coming soon! Sorry if it was misleading. 2: hmm. Mushrooms already have a soup and I'm really going for something the way mojang might add it. Probably won't do. Many of these will require ASM code replacement, which I am not sure about doing. All those Planned Features seem fairly straightforward -- feeding corn to chickens can be done via the EntityInteractEvent, for instance. If you're not sure how, ask us at the Modification Development section of the forums and we'll be happy to help (you use the same login as on this site). You are right, I realized that right after I posted. Fixed.